If you use the Web for intensive research, you might have found yourself opening and copying links one at a time when you want to include them as references. 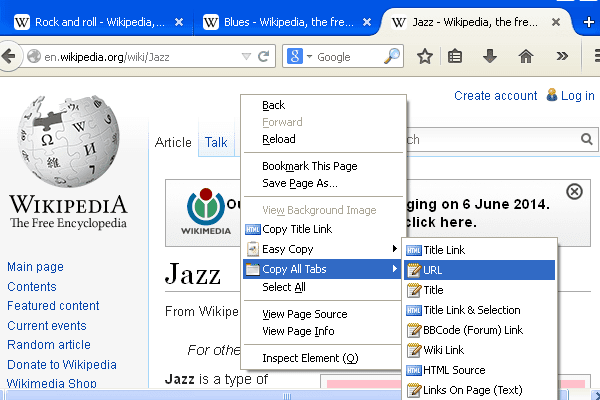 Fortunately, a Firefox add-on called Easy Copy offers a quick way to copy web page URLs along with other details like page title and HTML source. You will need to restart after installing the add-on. EasyCopy uses the context menu for copying, so you’ll need to right-click on the mouse button and look for EasyCopy in the list. You will then see a list of what information to copy from the current web page. 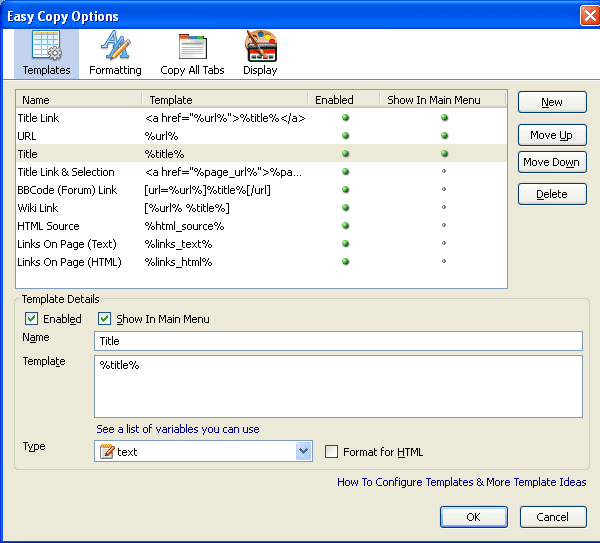 If you want to copy only from a single page, then you need to make sure you choose from the EasyCopy section in the context menu. On the other hand, if you want to copy the same type of link or title from all open tabs, then select “Copy all tabs” from the same menu. The list of copy options remain the same, except it will perform the function for all tabs within the browser. The default setup of EasyCopy’s context menu includes a shortcut for copying a page’s title link, but you can add more shortcuts by going to the add-on’s Options section. Click the link/text type you want to add as a shortcut and check the box next to “Show In Main Menu,” then click “OK.” You should now see the option right in the main context menu. 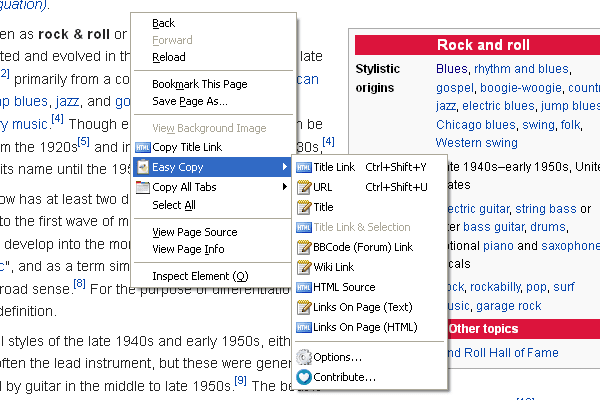 EasyCopy has a lot of useful features, and it’s one of the most versatile link copiers I’ve seen on a browser add-on by far. It cuts down on a lot of clicks, giving your hand that much needed rest, and letting you work faster than ever.